Ariston‘s Aqualtis Washing Machine was advertised this year with a visually stunning television commercial, “Il mondo sommerso”, or “Underwater World”, stunning enough to win a Gold Lion at the Cannes Lions International Advertising Festival in 2006 and the Grand Clio Award in 2007. 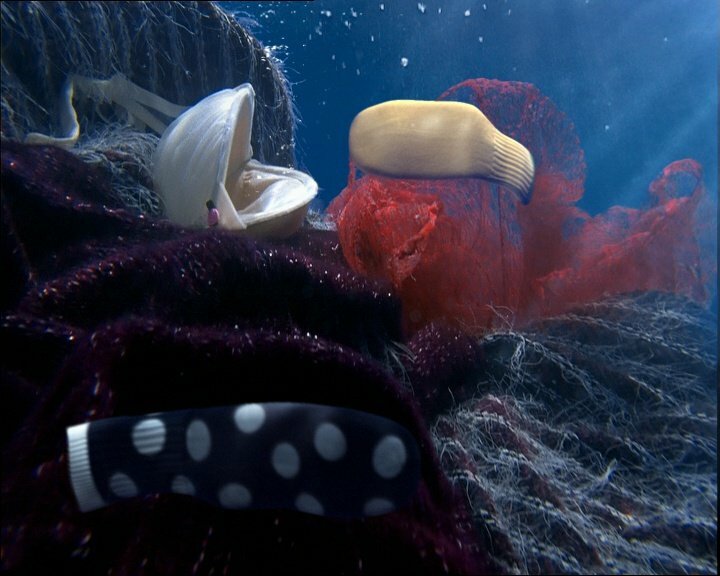 The “Underwater World” campaign was developed at Leo Burnett Italia, Milan, by creative directors Enrico Dorizza and Sergio Rodriguez, copywriter Francesco Simonetti, art director Antonio Cortesi, and agency producer Renato Lamberti. Director Dario Piana worked with production company FilmMaster, Milan, with producer Karim Bartoletti, director of photography Stefano Morcaldo and editor Michele Mortara. Post production was done at BUF, Paris. Music for Underwater World is “Ask The Mountains”, by Vangelis, featuring singer Stina Nordenstam, and found on the 1996 album, Voices. Why couldn’t this go on? Couldn’t our happiness go on?